ST. JOSEPH -8,860 sq ft Office/Warehouse/Distribution. Very convenient to Interstate. Central air (1) 14'x14'OHD (1) 20x14OHD (1) 9'x10' OHD @ dock w/14,000lb dock lift. 13'x20' ft ceiling. Electric 200A/208V/3PH. 5-year lease - Tenant pays prorated share of taxes and insurance. New $5,000 HVAC in offices. $3,200/mo. 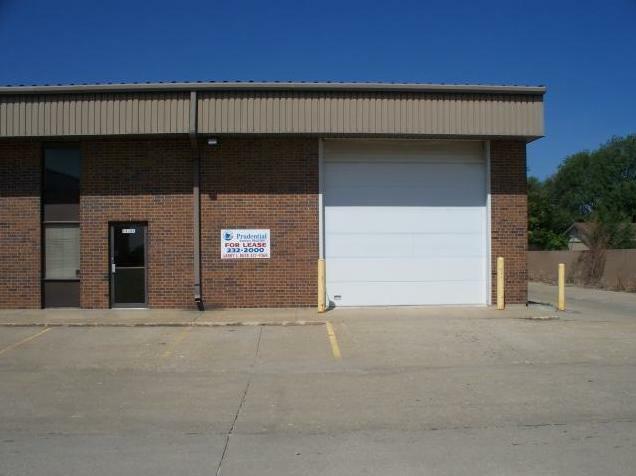 4410A S 40 Street (MLS #2141979) is a commercial listing located in St Joseph, MO. This property was listed on 12/18/2018 and has been priced for sale at $0. Nearby zip codes are 64501, 64504, 64505, 64506 and 64507. This property neighbors other cities such as Easton.